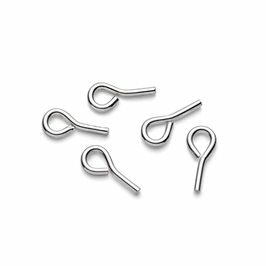 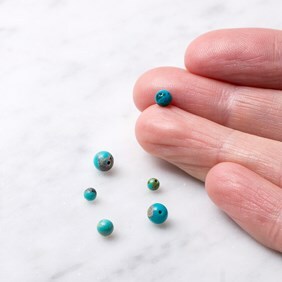 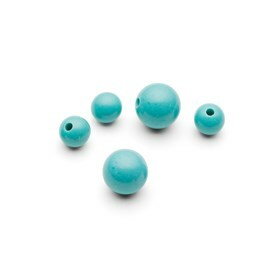 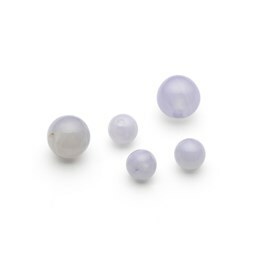 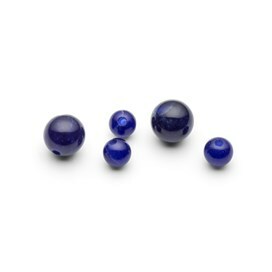 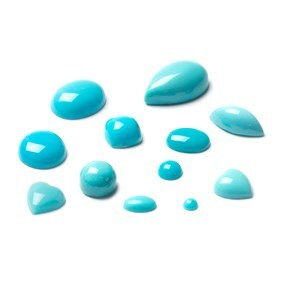 These turquoise matrix half drilled beads have a wonderful vibrant colour. 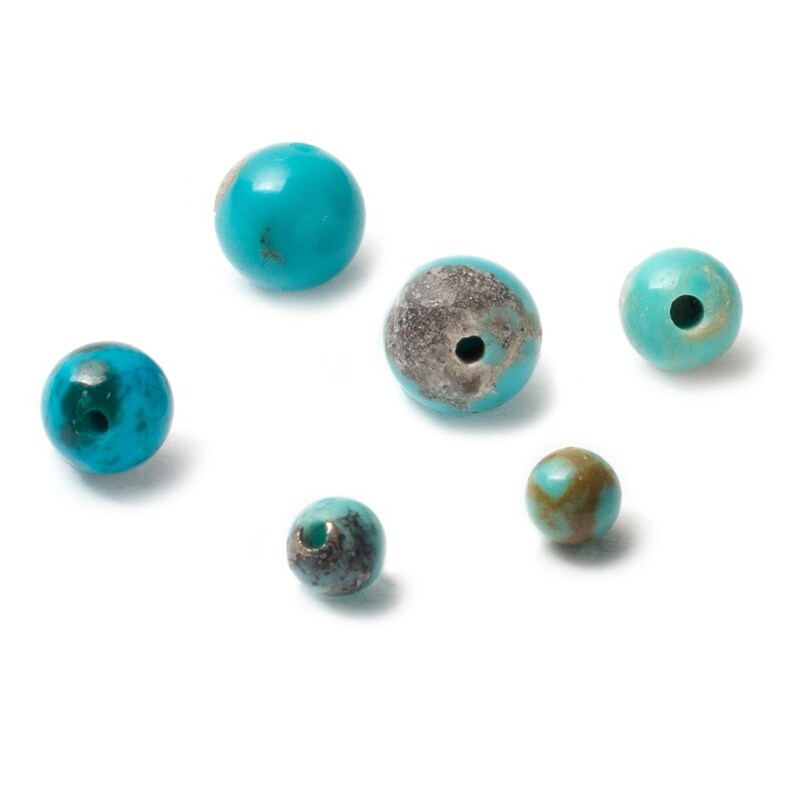 These beads sometimes have little flecks of brown matrix and golden glints of pyrite which add interest. 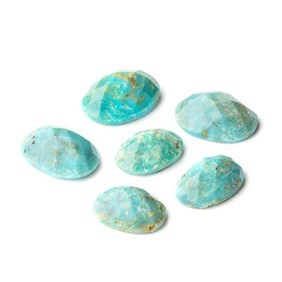 Turquoise is often seen accompanied with silver which complements this cool coloured gem perfectly.